Want to sleep well in college? Of course you do! 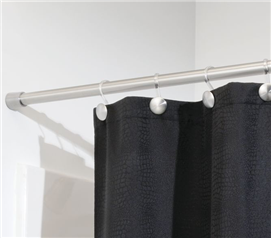 To sleep well in college night after night, you need our dorm essential Blackout Curtain. Your college provided dorm blinds won't block out all of the sunlight in the morning. You don't want to be woken up way before your alarm clock goes off simply because the sunlight coming through your dorm blinds woke you! Plus there may be a street or sidewalk light right outside your dorm window which means your college dorm room never gets completely dark. For a quality night's sleep, you need your college dorm room to be dark and the way to do this is a dorm blackout curtain! 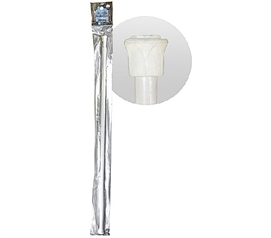 DormCo offers a selection of college blackout curtains that will block 99.99% of light coming through and we also offer tension rods for your college blackout curtains which means no damage to your dorm room walls! 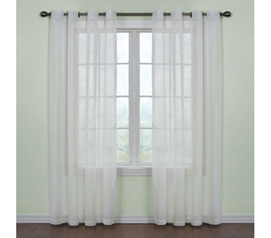 Our Blackout Curtains do what your university provided college blinds can't do, which is block sunlight. 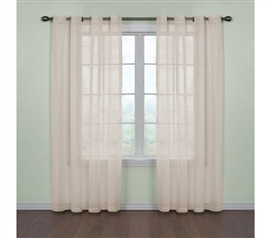 Blocking 99.99% of sunlight these dorm drapes or college curtains as they are called will stop the sun from entering and disturbing your precious sleep. Dorm Supplies like our Blackout Curtains are on top of the must have college supplies checklist. DormCo knows that sleep and good naps are among the top priority to college students and for this reason we offer the dorm stuff that is needed to keep you sleeping in your Twin XL Bedding undisturbed. 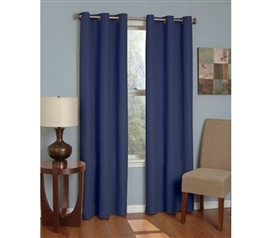 Blackout Curtains are among the hottest, most essential dorm decor products you will find besides the obvious dorm bedding, dorm furniture and college room rugs.